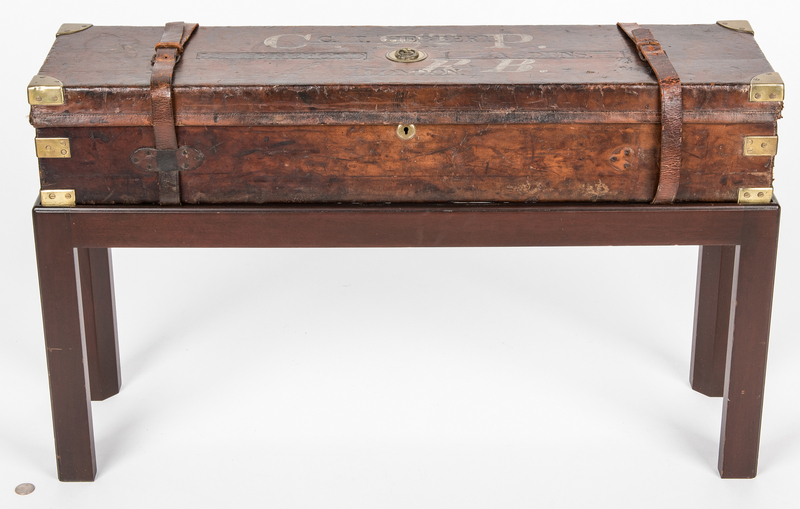 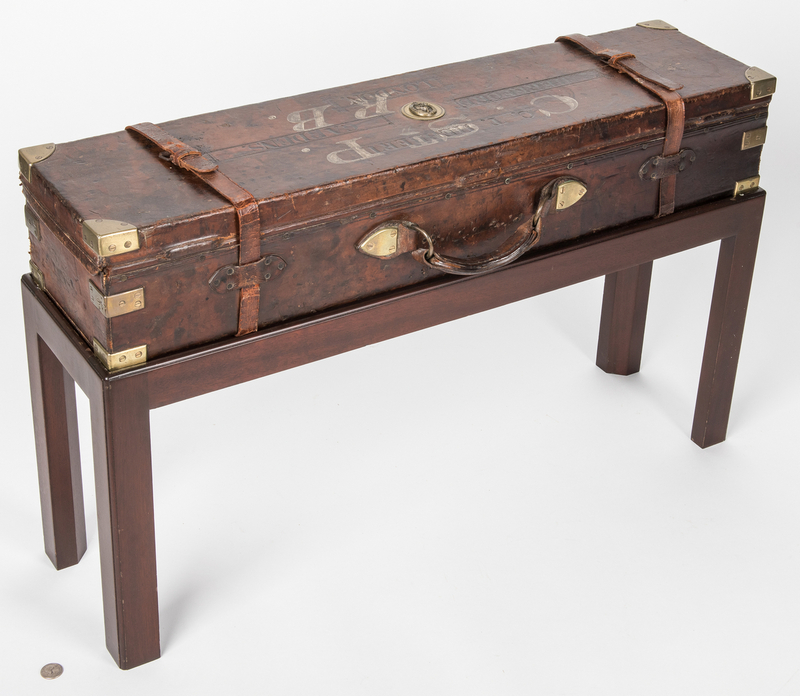 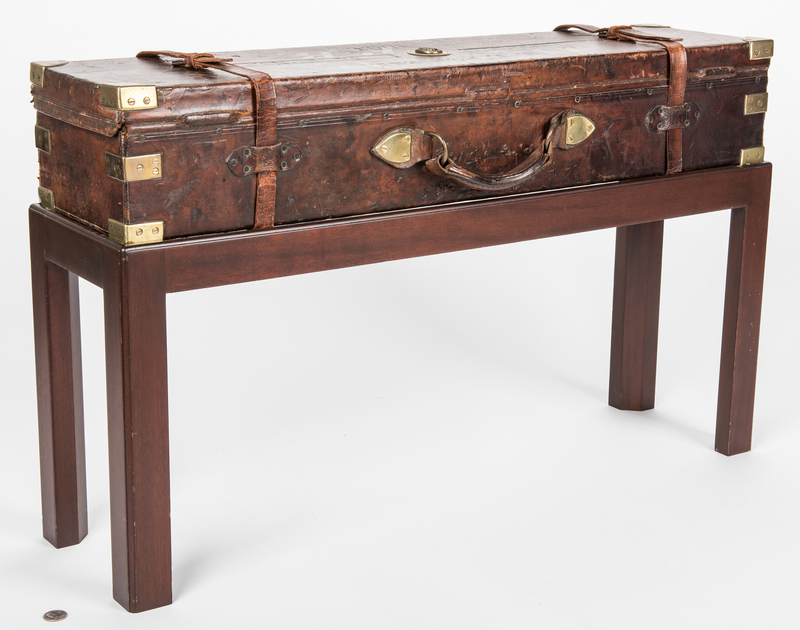 Victorian leather gun case table, comprised of a gun motoring case on custom fitted later stand. 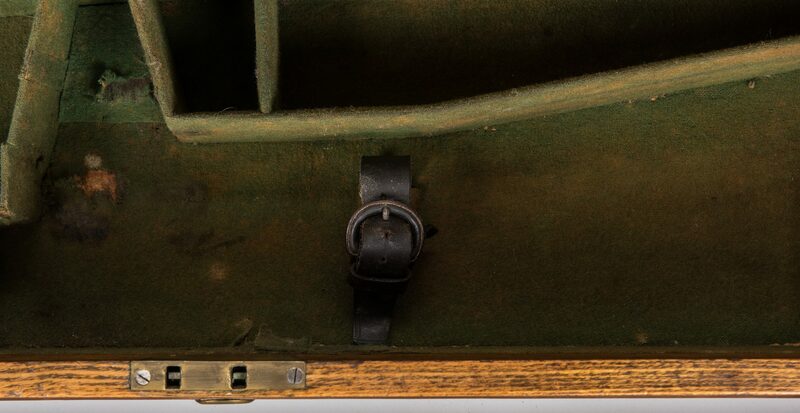 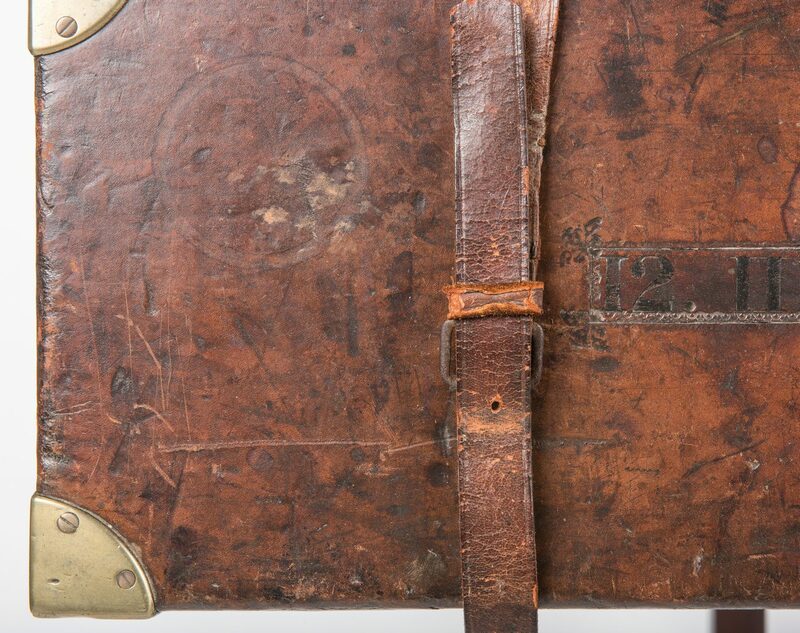 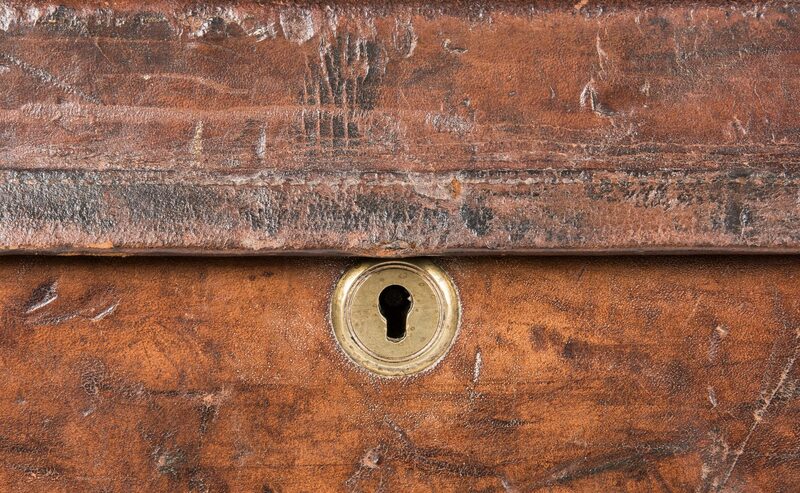 Leather covered oak case with brass bound ends, the hinged top embossed "C.T. 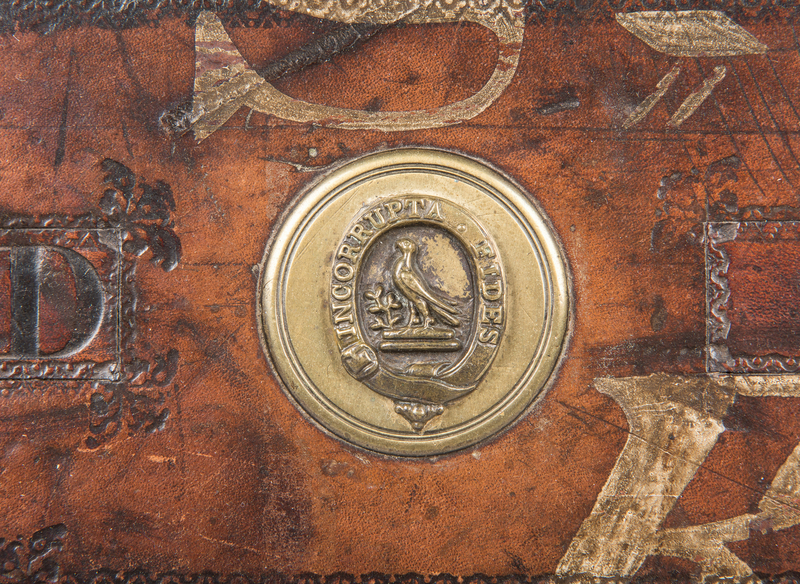 Hebbert 12 Hereford Gardens London" with hand painted lettering "C St P / RB" over the lettering and central brass medallion depicting a bird and branch; buckled straps appear original. 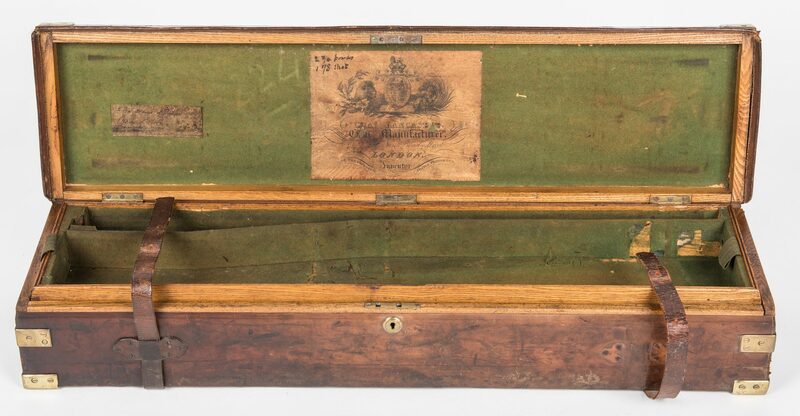 Fitted, baise lined interior with lift out tray; label for Charles Lancaster, "Inventor of the improved copper primer gun", London, maker. 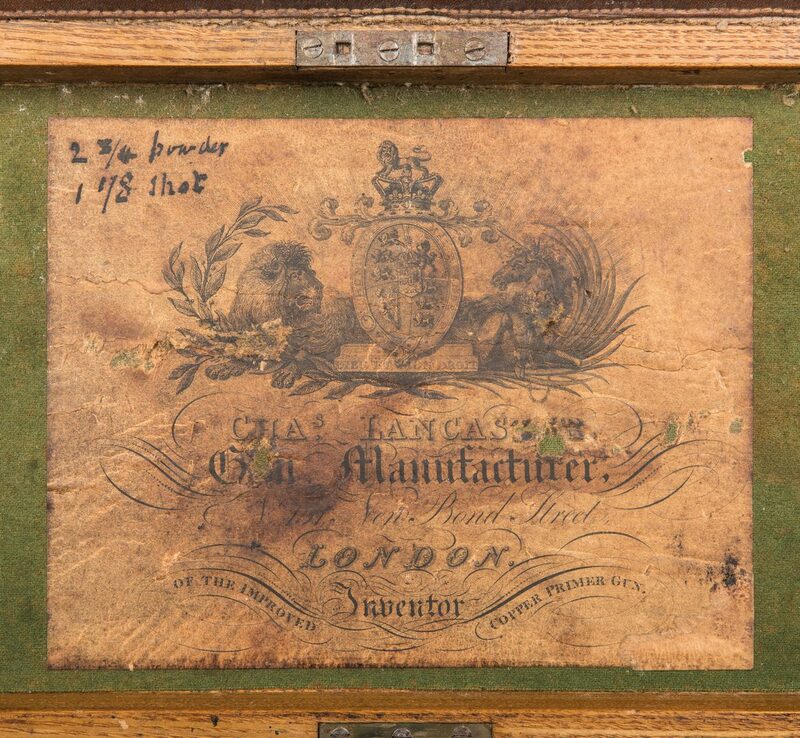 Old notes about gunpowder written on label and on a scrap pasted to interior. 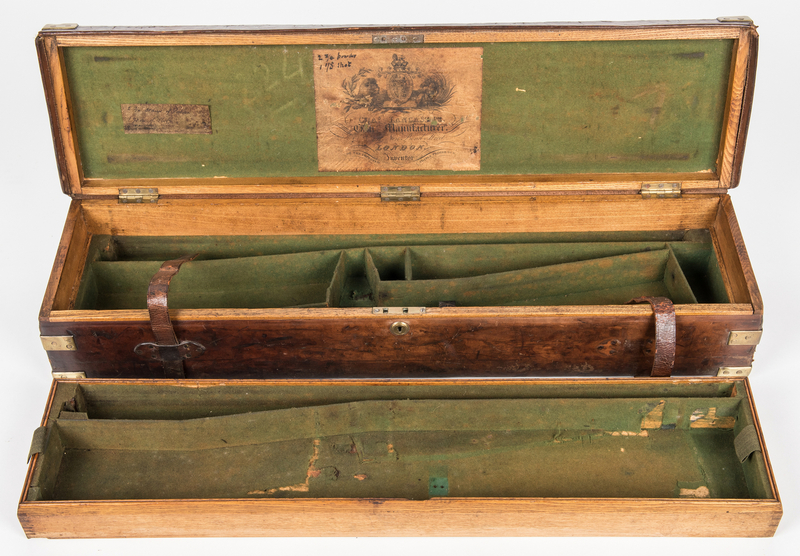 Overall – 21" H x 34 1/2" W x 9 1/2" D. Case – 6" H x 34 1/2" W x 8 3/4" D. Provenance: Private Middle Tennessee collection. 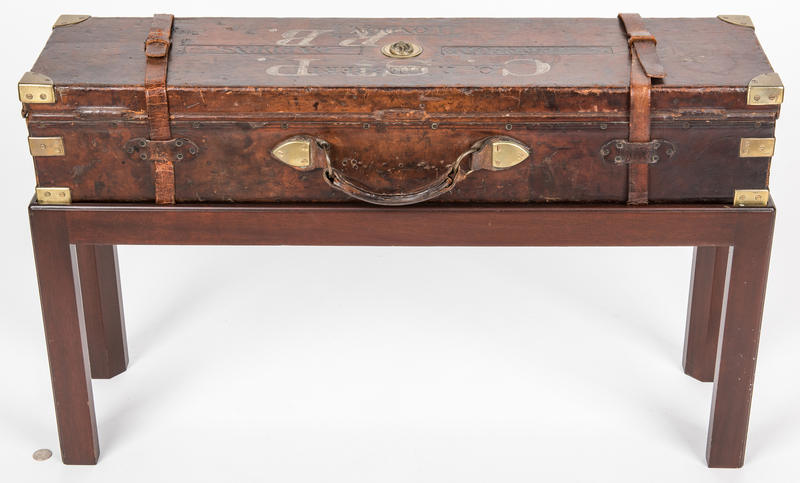 CONDITION: Wear and stains to top, wear to baise on interior, overall good condition.